The apex court in January had issued a notice to the Central Bureau of Investigation (CBI) on Kumar’s plea against the order as well as his bail plea and sought the agency’s reply. 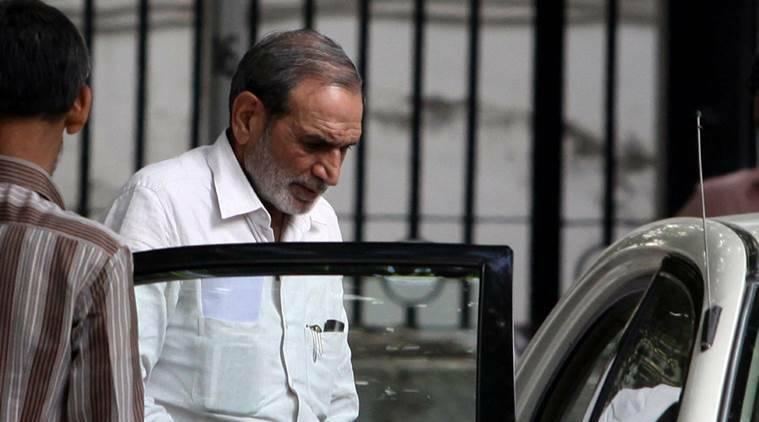 The Supreme Court Friday adjourned the hearing of the bail application plea by former Congress leader Sajjan Kumar till March 25 in connection with the 1984 anti-Sikh riots case. The CBI Friday told the Supreme Court that Sajjan Kumar’s plea should be dismissed. “Fair trial in the pending case won’t be possible if Sajjan Kumar is granted bail,” the Bench of Justices S A Bobde and Justice S A Nazeer said. The probe agency, in its reply to Sajjan Kumar’s plea seeking bail, said he has a “large political clout” and is capable of “influencing or terrorising” witnesses in the case pending against him. The CBI in its reply on Sajjan Kumar’s plea said that his “political clout clouded fair and speedy investigation and derailed justice for the victims” of the 1984 anti-Sikh riots. The apex court in January had issued a notice to the Central Bureau of Investigation on Kumar’s plea against the order as well as his bail plea and sought the agency’s reply. The 73-year-old was convicted and sentenced to life term for the “remainder of his natural life” after he was found guilty in a case pertaining to the killing of five Sikhs in southwest Delhi’s Raj Nagar on November 1-2, 1984, and the burning down of a gurdwara in Raj Nagar Part-II.